Pico projectors built into our favourite devices are set for a six-fold increase according to analysts iSuppli – who predict that shipments will rise to three million by 2013. Although pico projectors remain a small market currently – with shipments of around half a million, iSuppli's prediction is that being able to project a big screen from a small device will become increasingly popular. "Mobile electronic devices offer consumers and corporate users the portability they desire, causing an increasing number of users to employ products like smart phones and netbook PCs as their primary platforms for computing and Internet access," said Sanju Khatri, a principal analyst at iSuppli. "Embedded pico projectors promise to enlarge these displays, making mobile devices more capable as primary computing and Internet-access platforms." 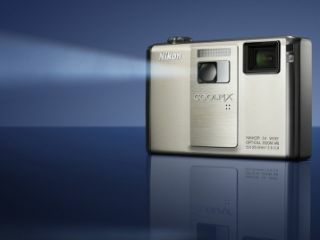 Embedded projectors are certainly becoming more popular; only this week Nikon announced a camera with a built in projector.